Cannabis consumer product entrepreneurs, Peter Miller and Billy Levy, are taking vape pens, beverages, edibles, and even a cannabis documentary company, to the public market on Tuesday, debuting their holding company, SLANG Worldwide Inc. (SLNG), in a direct listing on the Canadian Securities Exchange. Before Tuesday’s trading, the company had an implied market value around $500 million Canadian dollars (CAD), the equivalent of about $377 million (USD), and was priced at $1.50 (CAD) per share, the equivalent of about $1.13 (USD) per share. In Tuesday’s trading the stock closed at $1.99C. The Toronto-based company houses a portfolio of branded products sold in 2,600 retail stores across 10 U.S. states, where it derives the majority of its revenue and product sales. Before its IPO, SLANG raised $66 million in financing and acquired Denver-based Organa Brands and its subsidiary Organa Labs that specializes in extracting, refining, and distilling cannabis oils used in consumer products, including those manufactured under the SLANG umbrella. 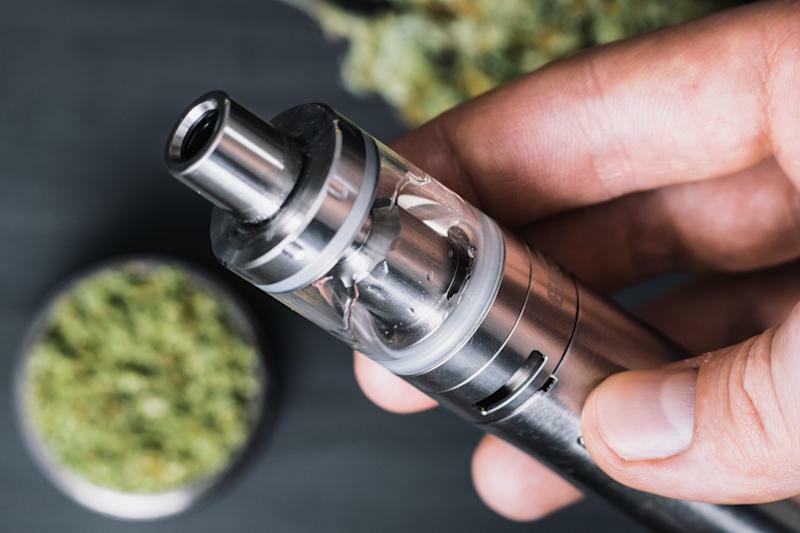 The strategic acquisition, which co-founder Peter Miller describes as a merger, sets up SLANG to streamline production of one of its most widely recognized products, O.penVAPE. SLANG told Yahoo Finance it plans to allocate financial resources from the IPO primarily to promote its products. “The remainder is for working capital, and it's primarily going into growth in terms of sales and marketing to get the product on more shelves,” Levy said. “All we care about is where are people able to purchase cannabis legally? And, can we have our brands in as many of those places as possible on as many shelves as possible?” Miller said. Under its 12 brands, SLANG also sells vape hardware and cannabis seeds and strains, and plans to bring flower and pre-roll joints to market. In a joint venture with Canopy Growth Corporation (CGC) subsidiary Agripharm Corp., SLANG gained access to the Canadian-licensed company’s Canadian distribution channels. Under the partnership, Agripharm will manufacture and distribute SLANG branded goods. In 2017, Miller and Levy sold a separate company they co-founded, Mettrum Health Corp., to Canopy for approximately $430 million. Miller and Levy plan to stay in the branding and marketing lanes, for the most part leaving retail and cultivation for their packaged goods to others. Miller said any retail plans for SLANG would be limited to experiential, small scale, perhaps even a temporary location where the company could communicate directly with the customer. “Ultimately, retailers are our customers...so we're not trying to compete with them in any way on a retail level,” Miller said. As for SLANG’s media interests, its subsidiary Strain Hunters produces features focused on identifying rare, isolated and unique cannabis genetics from around the world. Among risk factors listed in the company’s prospectus are the designation of cannabis as an illegal controlled substance under U.S. federal law, uncertainty surrounding the Trump Administration and the U.S Attorney General, as well as increased regulatory scrutiny of SLANG’s interests in the U.S.
Miller said he does not anticipate actions by the FDA or other agencies of the federal government to significantly impact SLANG’s bottom line. “I think there'd be a far bigger risk of sort of drowning from the fire hose of opportunity of everything going legal at once, than dehydrating from from not enough,” he said.